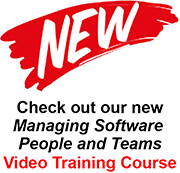 Now it's available as video training! 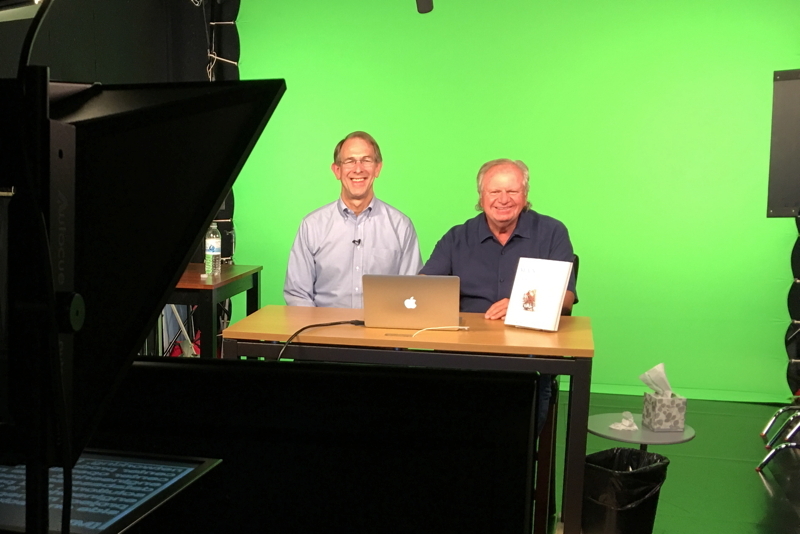 Check out five free samples of our video training learning lessons! The video course is available for purchase directly from Pearson / Addison-Wesley's InformIT bookshelf. 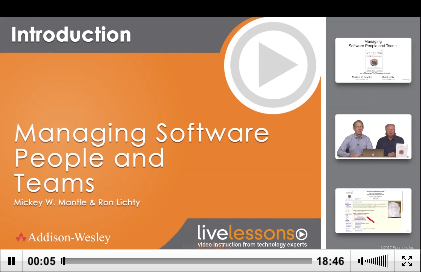 The video course is also available on O’Reilly’s Safari Bookshelf – simply search for “Managing Software People and Teams” or “Lichty” and you’ll find it. If you’re not a Safari member, you can find subscription details on the Safari site (pricing is as low as $39.99/month). Introduction <--- Watch It Now! 1.2 What differentiates managing programmers? 1.3 Why is managing programmers hard? 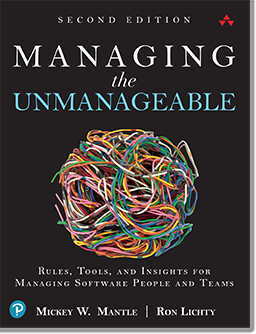 1.4 Why is managing within agile hard? <--- Watch It Now! 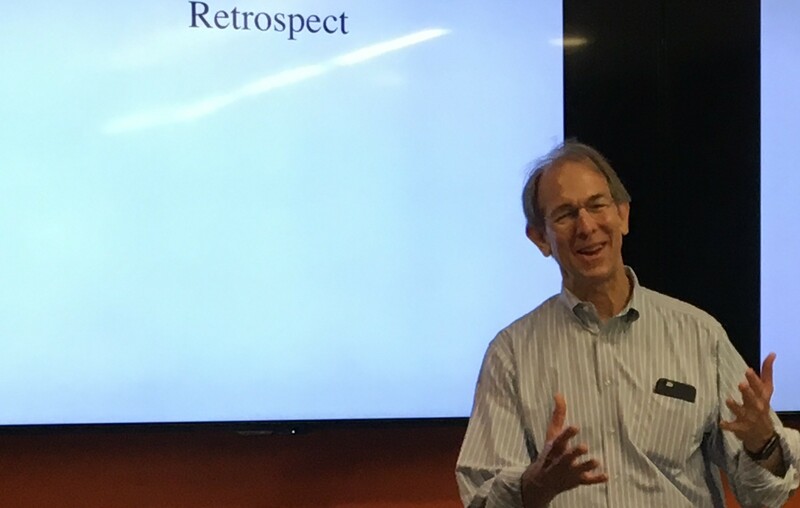 1.5 How does a programming manager’s role change with agile? 4.2 Make effective onboarding a best practice! 9.9 Ship It / Go Live! 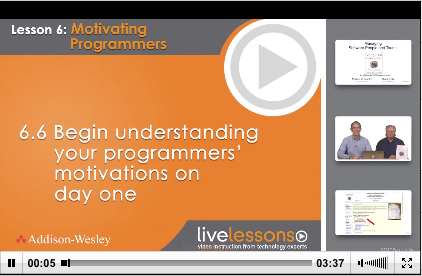 10.3 Support Agile Values <--- Watch It Now! Summary <--- Watch It Now! 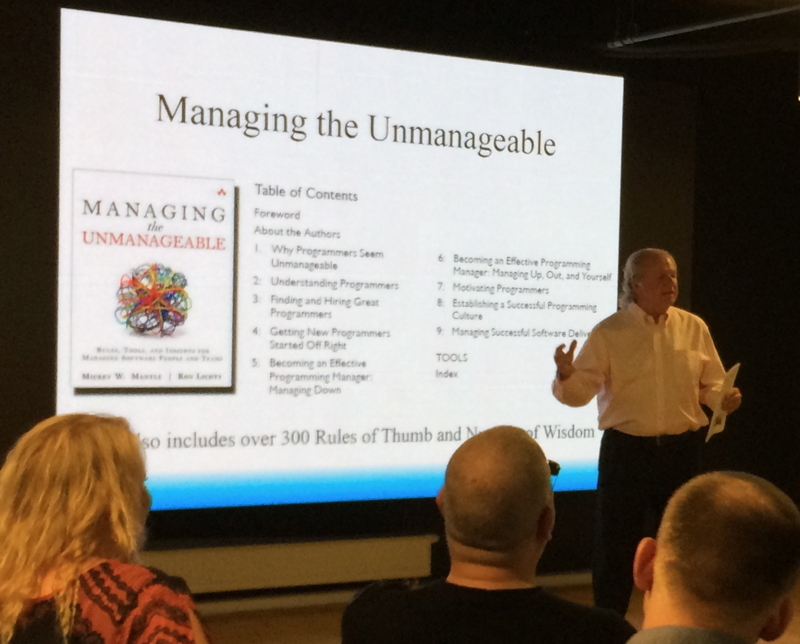 This 10 Lesson (10 hour) on-line video course, Managing Software People and Teams LiveLessons, is based upon the Addison Wesley book Managing the Unmanageable: Rules, Tools, and Insights for Managing Software People and Teams, by Mickey W. Mantle and Ron Lichty. 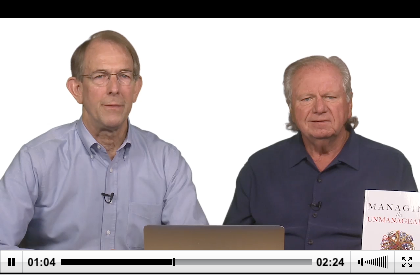 Mickey and Ron have distilled the book's most important insights and created this on-line workshop for software development managers, software team leads, programmers who aspire to become managers, project managers, and those who manage departments of programmers – as well as other managers, directors, and C-level executives who rely on programmers to deliver projects that are critical to their organization’s success and want to learn more about how to manage programmers successfully. Mickey and Ron are long-time, enthusiastically received speakers at San Francisco and Silicon Valley venues like Code Camp, Agile Leaders Network, ACM, Agile Camp, Product Camp, IEEE, and the San Francisco and Silicon Valley Engineering Leadership Communities, as well as globally at AgileIndy, Agile Iowa, and the Eastern European developer conference in Moscow. 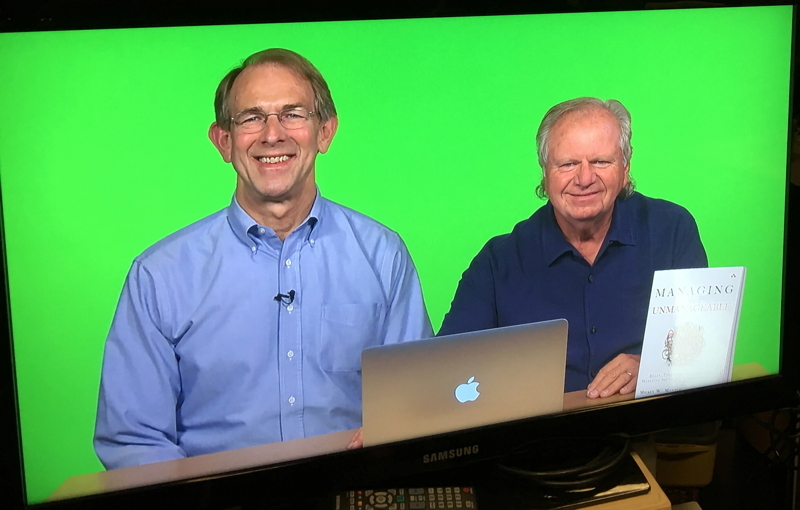 Engage Ron or Mickey (email training@managingtheunmanageable.net) to bring one or both of us in to deliver an in-person Master Class. We can provide you details about availability and pricing for your team, department, company, organization, or development conference. Buy the video course directly from Pearson / Addison-Wesley's InformIT Bookshelf . Or watch it free if you join or are already part of Reilly’s Safari Bookshelf. (If you’re not a Safari member, you can find subscription details on the Safari site, with pricing as low as $39.99/month.) Either site, simply search for “managing software people and teams” or “Lichty” and you’ll find it.